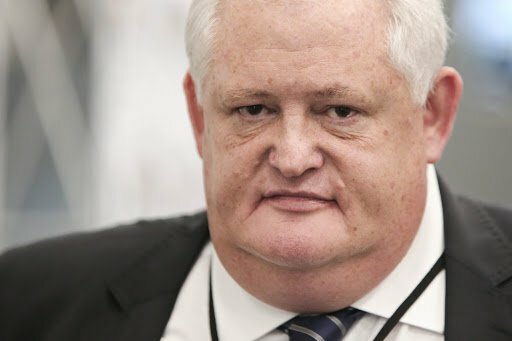 Sunday Times's tweet - "#Agrizzi went to Sandton City, bought a Louis Vuitton handbag, filled it with R300,000 and delivered it to... Find out who in the #SundayTimesZA tomorrow "
Can someone tweet the affidavit already! When you say "handbag" l'm compelled to think the recipient was a female🤔...that's just me. 300k in a LV bag, l would have settled for the grey money bag and keep the LV bag money...again that's just me. Certainly wasn’t me - besides LV is so crass; I prefer to be a bit more subtle. you guys have disgraced this country. I will wait for Twitter to tell me for free. Lol! 😂🤣 A leader of that political party confessed to a much hated journalist (@PaulivW) that he received Louis Vuitton bag as a present? Please you are not trust worthy you can be bought to destroy an innocent person . Live on Monday thats whr we want to listen. WAIT WAIT SUNDAY TIMES (TISO BLACK STAR) ... WHAT MORAL AUTHORITY DO YOU HAVE TO WRITE ON ANY STORY ON CORRUPTION WHEN THIS VERY NEWS PAPER (TISO BLACK STAR) HAS DONE THE MOST TO UNFAIRLY DESTROY PEOPLE'S LIFE'S? ZONDO IS DOING THE `LORD'S` WORK PLEASE KEEP YOUR `SATAN'S` WORK! is there anyone who still buy your newspaper? Uyanya wena! Why must we buy your trashy gossip pamphlet where Ta Grizzy is revealing all free of charge there by the state capture commission? Not buying your fake news (newspaper). Will wait for next week. I want to hear it straight from the horse's mouth. Futhi niyaxoka! I just called who works in that store she said no such ugly, fat person ever bought from that store. now we know what needs to be in an LV handbag.. The Sunday Times is going to be well worth the money tomorrow. The grizzly bear? No really. Look how fat he is. He has concluded with he's heart that, whatever happens he's ready! ....and gave it to Mama Action? Nahh we not interested .there are homeless people in this country.can we discuss that . I wish we'd get more detail on who all these bribes were paid to! Trying to steal Agrizzi's thunder....U have been protecting your preferred politicians, while throwing mud on those you hate...you just a political hit job rag @SundayTimesZA ale swabi...!